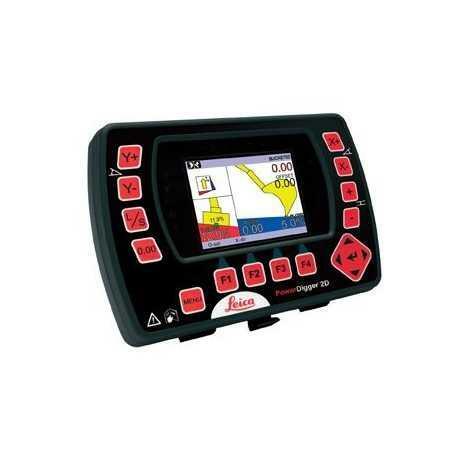 Leica PowerDigger 2D speeds up any excavating job and increases your digging accuracy and safety on site. The system provides you full control information in the cab, allowing you to create complex designs and profiles quickly and conveniently. PowerDigger 2D is a fully upgradeable system. You can start with single grade operation and upgrade as needed to a full dual grade system by adding a rotation and tilt bucket sensor to your system. With an additional 3D control box and GNSS sensors you get a highly efficient 3D guidance solution that allows you excavate according to the 3D design model on your panel. Altitude warning – audible warning on selected height, useful for overhead cables and working under bridges and inside buildings.